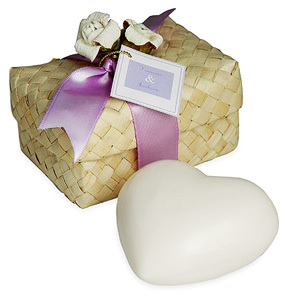 OUT OF STOCK: Sorry, we are currently sold out of the 'Twin Wedding Bells Heart Soap Favor Box*'. 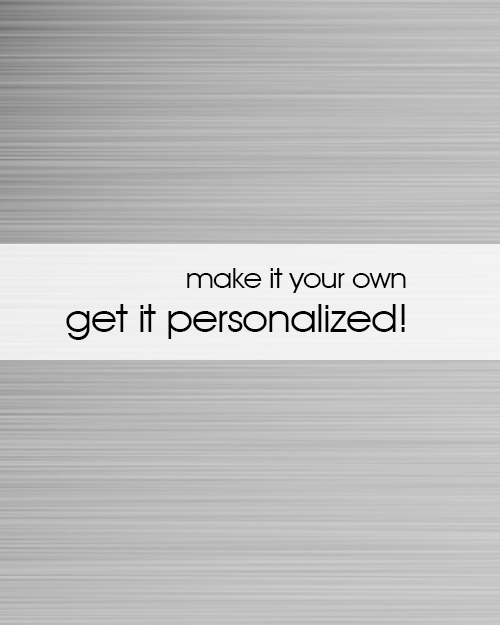 If you have further questions, please call our customer loyalty team at 1-800-793-3924. Celebrate the beginning of a new life together with this beautifully decorated heart soap favor box. Each box is adorned with your color choice of satin ribbon, a metallic net, and 2 adorable wedding bells (available in gold or silver) to symbolize the union of the bride and groom. Inside the favor box is a single camellia scented soap nestled on a bed of natural wood grass. The soap comes embossed with an image of dove, a symbol for peace and a long lasting relationship between the couple. The heart shaped camellia soap is French milled with shea butter creating a rich luxurious lather. 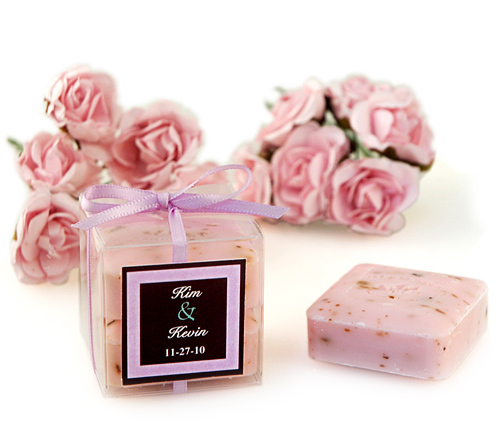 The 2-in-1 wedding bells heart soap favor is a great treat because of its dual purposes. It's a great idea to utilize the lovely decorated favor box to adorn tabletops at your wedding reception. Stack a couple of the boxes together in a pyramid fashion and observe friends and guests marvel at the beauty you've created. 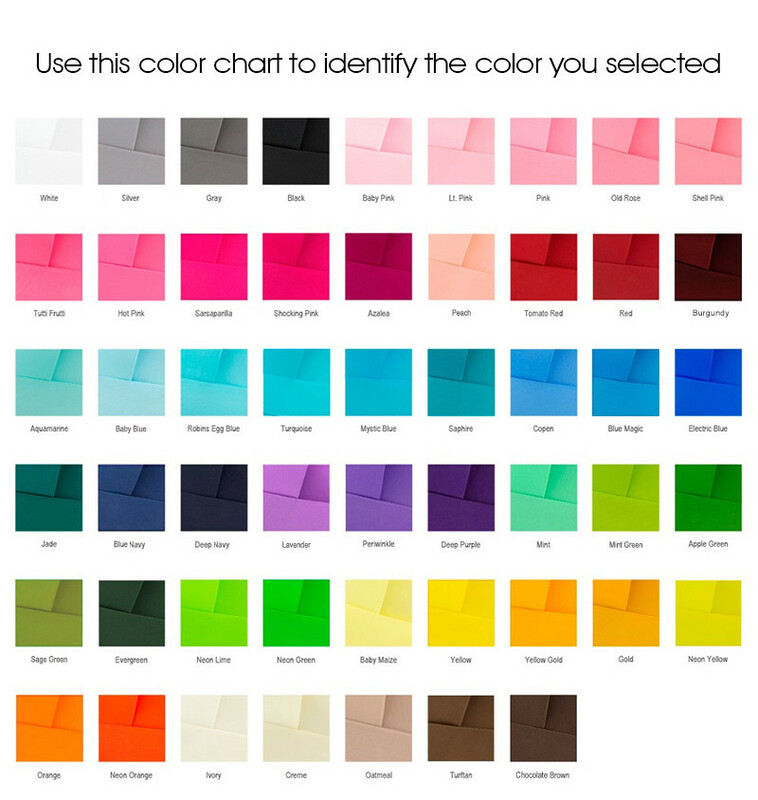 Coordinate the main colors at your event by choosing a matching ribbon color. 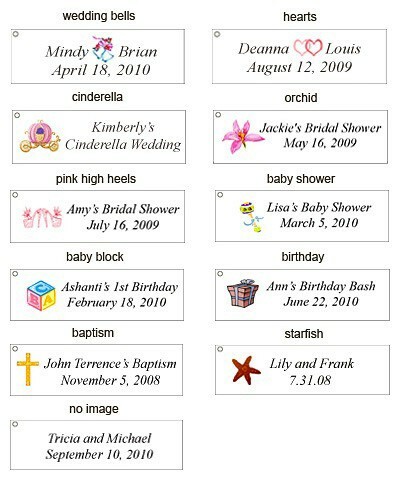 Make a lasting impression at your event by adding our personalized tags with the couple's names and event date.